For most of the ongoing Women's Cricket Super League, it has been Smriti Mandhana who has attracted Indian eyeballs. 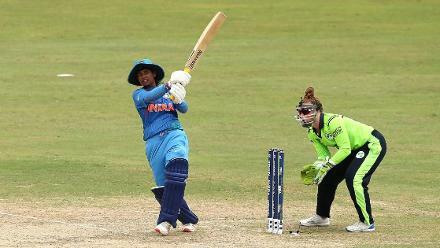 But on Tuesday, 14 August, it was the turn of Harmanpreet Kaur. Kaur smashed a 44-ball 74 as her Lancashire Thunder side saw off Yorkshire Diamonds by nine runs, a victory that kept alive their hopes of finishing in the all-important third spot in the six-team table. 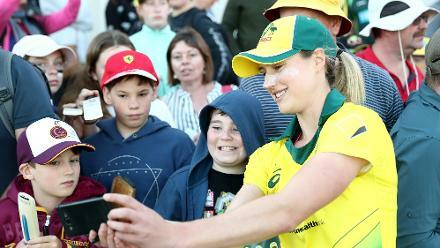 Nicole Bolton, the Australia opener, laid the platform for Kaur's ruthless assault. Lancashire lost two early wickets, but Nicole and Kaur combined to add 53 for the third wicket. Once Bolton (46 off 38) was dismissed, Kaur continued attacking until the penultimate delivery of the innings, when she was dismissed by Katherine Brunt. Her knock featured six sixes and four fours. Her effort took Lancashire to 154/9, and Yorkshire were cut off at 145/8 in response. Lancashire are now placed fourth on the table, three points behind third-placed Surrey Stars. It was a vital victory, especially given that Lancashire had lost four consecutive matching coming into the game. 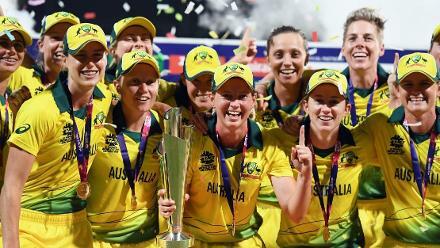 "We were looking for that after losing games back-to-back, and we are very happy," said Kaur. 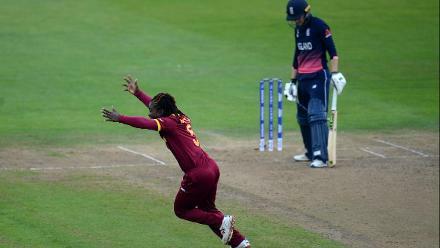 "The wicket was really good to bat on and once you settle over there, you can hit any ball. So I was really happy that I got the opportunity to bat up the order and got a lot of balls to face." The knock was particularly impressive as it came on a challenging pitch, but Kaur didn't read too much into that. 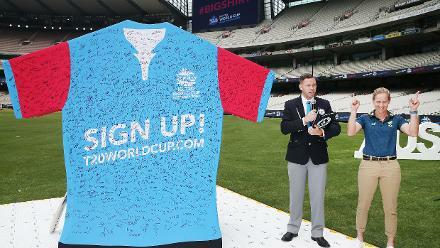 "It was a bit green, but it's the T20 format... once you get in you just need to enjoy. 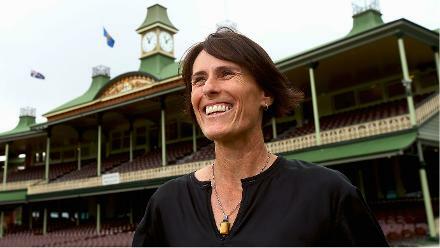 I didn't think much about the wicket, I was just watching the ball and trying to hit in the gaps," she said. "My strength is the leg-side and I know all the teams are planning to pack the leg-side when I bat. So I did a lot of practice on the off-side, and I'm happy I hit a few sixes there." Kaur wasn't the only batter to score a fifty on the day. Suzie Bates outscored her with a brilliant 57-ball 82 for Southern Vipers on the day's other match in Brighton. Unfortunately for Bates, the knock came in a losing cause, with Surrey Stars chasing the total in 19.3 overs with four wickets to spare. Despite Bates's effort, her side was able to only post 147/9 in 20 overs, thanks to Natalie Sciver's 4/29. 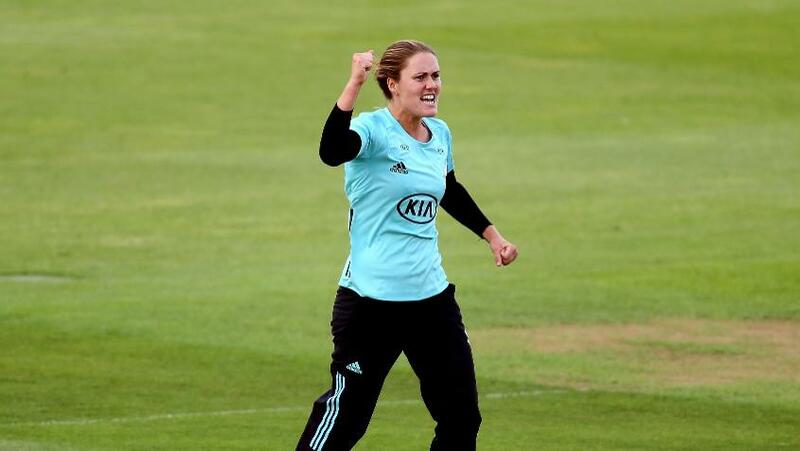 Sciver led from the front even with the bat, scoring 46 off 33 balls, including five fours and a six. 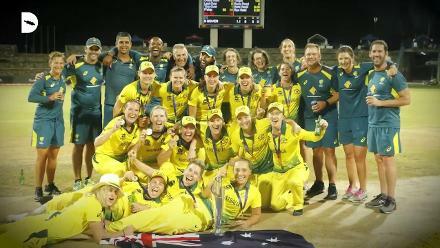 The captain's efforts were well complemented by Sarah Taylor (38) – the duo stitched together a 73-run stand that won them the match.